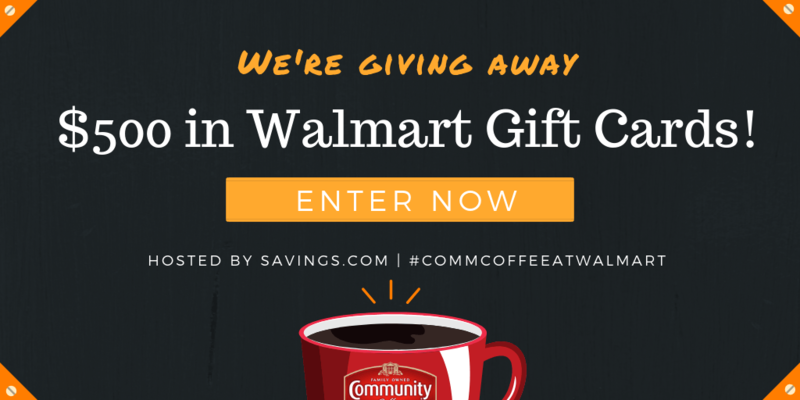 Community Coffee is giving away ten $50 Walmart gift cards in support of the Valpak Community Coffee coupon, redeemable at Walmart. Giveaway ends on Friday, October 19th at 11:59 PM ET. Enter the giveaway by heading to the Walmart page on Savings.com and submitting your email address on the form at the top of the page. The winners will be chosen through a lottery drawing and notified on Monday (10/21) via the email address they used to enter. See complete Official Rules for entry instructions, full prize descriptions, restrictions and other important details. I received compensation in exchange for this post. Please do your own research before purchasing products or using services. Your opinions and results may differ.